CentOS 7 is supported by verinice since the current 1.15 version – users can now switch to the newer version of the Linux distribution. Updating servers from CentOS 6 to 7 is not possible, hence verinice must be set up and configured again. If needed, SerNet and the verinice.TEAM offer support with the transition. The verinice appliance will be available for CentOS 7 in a few weeks and will also simplify the reinstallation. Daniel Murygin, team lead software development: "Customers who are burning, but can now start with verinice 1.15 on a CentOS 7 server." According to the end-of-support schedule, maintenance updates for the CentOS 6 series will be available until November 30, 2020. verinice will be available for CentOS 6 for the time being. Customers can continue to work with the combination verinice / CentOS 6 and schedule the change for a later date. 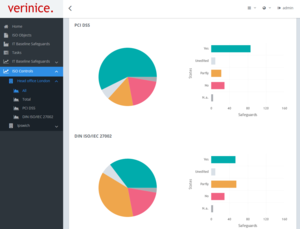 The verinice.TEAM has released the ISMS tool verinice in version 1.15. Main changes are the integration of the Modernized IT Baseline Protection issued by the German BSI (Federal Office for Information Security) and support of the EU GDPR. 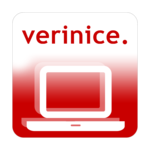 Publisher SerNet provides verinice and verinice.PRO for download in the verinice.SHOP or in the customer repository. The release also includes enhancements in various areas such as search and indexing, report query, and the web frontend. verinice 1.15 and the enhanced Data Privacy Module enable working with the EU GDPR. The extended Module will be available for download in the verinice.SHOP or in the update repository soon: In addition to the mapping of the dircetory of processings, it also supports the required documentation for contract data processing. Until the deadline in May, additional extensions for the Modul are planned. They include risk management for data privacy and the data privacy impact assessment. verinice 1.15 is the first version that implements the Modernized IT Baseline Protection according to the new BSI standards 200-1, 200-2 and 200-3. More updates for verinice are on the horizon this year. These are intended to integrate the still missing content from the BSI. verinice Product Owner Michael Flürenbrock: "Users should be able to work with the latest version of the new Baseline Protection in verinice in a timely manner." In particular, risk management and the migration from the previous IT Baseline Protection Catalog to the IT Baseline Protection Compendium are among the expected BSI updates. verinice users will receive the new versions as part of their ongoing subscriptions. In verinice 1.15 the REST interface was expanded. The verinice.TEAM is working closely with Chemnitz (Germany) based c.a.p.e IT, manufacturer of the OTRS-based ticket system KIX. Thus, after Greenbone / OpenVAS now another IT service management (ITSM) tool is directly linked to verinice. 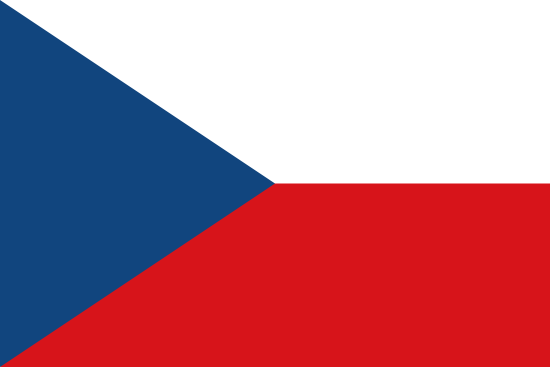 The verinice.XP from 21 to 23 March 2018 evolves around verinice. All users of the ISMS tool are invited to Berlin In addition to lectures on innovations such as the Modernized IT Baseline Protection and data privacy in verinice, participants can also expect reports from daily practice, e.g. for use at Berlin Brandenburg Airport, Europ Assistance or for industries such as finance and insurance, water companies and hosters. Tickets and more information at verinicexp.org. verinice.TEAM just released verinice 1.13.1 that contains some enhancements and bug fixes. It can be downloaded for free by all customers that bought verinice 1.13 at the verinice.SHOP or maintain an active verinice.PRO subscription. This new version contains major enhancements for German data protection regulations. For more info please switch to the German version of this announcement. The developers also permanently added the BCM enhancements regarding the German BSI standard 100-4, that had been published as a supplement in early November 2016.
verinice.XP 2017 - The agenda is online! The verinice.XP 2017 agenda is online! Our information security conferencetakes place on February 6th and 7th at Sofitel Kurfürstendamm in Berlin. The first day "Grundschutztag" about "BSI Baseline Security" starts with Marc Fliehe's keynote from BITKOM e.V. and is followed by Jan Grasshof (Cassini) about "Grundschutz" at Berlin's public administration and Holger Schellhaas (TCI) at a travel insurance company. Ronny Frankenstein (HiSolutions) gives an overview about "Neuer Grundschutz" and Alexander Koderman reports about "Geheimschutz and Grundschutz". The final session is presented by Michael Flürenbrock from SerNet as an overview and discussion about the verinice future roadmap. The second "ISO day" starts with a keynote from Boban Kršić (DENIC) about Business Continuity Management followed by talks about ISMS usage at AEB (Volkher Wegst), about risk and compliance management at University of Oxford (Jonathan Ashton) and SOX management at US based energy company ITRON (Michael Schneider). SerNet lawyer Sirin Torun will talk about the "EU General Data Protection Regulation" and how it will be integrated in verinice, and the day will close with a general discussion in the verinice.FORUM for all attendees. Registration for the conference is open atverinicexp.org for a fee of 150 Euro per day. A social event in the conference hotel on the evening of the first day is the opportunity for networking and meeting with both other participants and the verinice.TEAM as well. All participants will receive a voucher code for the verinice manual for a free download. verinice.PRO customers can ask for a 20% discount voucher via mail to sales@sernet.com! verinice.XP 2017 - Registration started! After German BSI discontinued it's own GSTOOL for information security management the tool market evolves quickly. verinice plays an important rule because it is the only OpenSource tool with a BSI license. verinice.XP – User Conference for Information Security shows how GSTOOL users can migrate to verinice and other tools and how the new German baseline security will evolve at BSI and can be adopted especially by critical infrastructure providers. 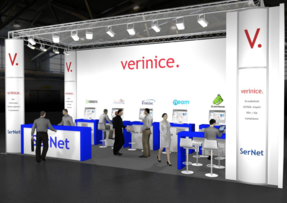 verinice.XP takes place on Februar 6th and 7th 2017 at Sofitel Kurfürstendamm Berlin (Augsburger Straße 41, 10789 Berlin) and is hosted by SerNet, the company behind verinice. Participants are IT leads, decision makers, information security officers and persons responsible for data protection in companies and public authorities. Fokus of the first day is German baseline security, featured by German BSI. Marc Fliehe will show in his keynote how the most important IT business foundation in Germany - BITKOM e.V. - sees the future development and challenges for information security management in Germany. The second day is about the generic international standard ISO 27001. Boban Kršic from DENIC e.G. will give a keynote talk with focus on Business Continuity Management. The complete program of verinice.XP 2017 will be published on the conference website in early December. Registrations for the conference are possible online at verinicexp.org, "Baseline-Day" and "ISO-Day" can be booked separately or both. A social event takes place on the evening of the first day for all participants and gives a chance for networking and even more discussions about the topics of the day. All participants have access to a cost free voucher code for the current verinice manual.